With this starter kit, you'll receive the Coil Art DPro 133 Box Mod inspired by mechanical mods, the 24M DPro rebuildable drip atomizer, a pin, extra cotton, coils, an allen key and an accessory bag. Love the idea of having the full control of your vaping experience that a mech mod provides but worried about safety? The Coil Art DPro 133 Starter Kit with 24M DPro RDA is the perfect vape for your needs. 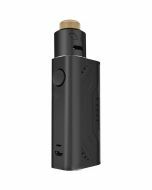 The Coil Art DPro 133 Box Mod is designed to give you the control that a mechanical mod provides without all the worries about safety. 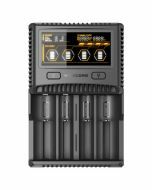 You can dial in the battery voltage you desire and enjoy full power without any delay. At the same time, you can enjoy the full benefits of short-circuit protection, low-resistance support and reverse-polarity protection that you expect from a high-end box mod. With the Coil Art DPro 133 Box Mod, you can chase large clouds, vaping with up to 133 watts of power. 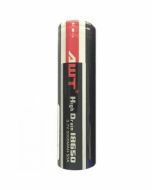 The box mod accepts two 18650 high-amp batteries that work in parallel to provide an incredible amount of power. For added versatility, you can run the box mod on one battery to reduce the weight and scale back cloud size. Weighing only 100 grams without batteries installed, the Coil Art DPro 133 Box Mod is light and simple to handle. 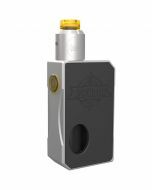 The box mod measures 84.5 millimeters by 44 millimeters by 28 millimeters, making it compact for easy carrying. An ergonomic design makes the anodized aluminum box mod comfortable in your hand. The firing button is intuitively positioned to simplify operation. With the Coil Art DPro 133 Box Mod, you'll receive the Coil Art 24M DPro RDA. This dripping atomizer stands out with its 3-millimeter-deep juice well that cuts down on the need for frequent dripping. A post-less deck with four 2.5-millimeter terminals gives you the freedom to fully customize your builds. 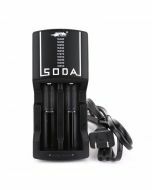 Dual side slots allow for an easy flow of air through the atomizer and can be adjusted to restrict your draw as desired. To ensure optimal performance, the rebuildable drip atomizer features a 24-karat gold-plated 510 connection. Enjoy the performance of a mechanical mod with the safety features of a box mod! 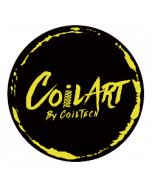 Order the Coil Art DPro 133 Starter Kit with 24M DPro RDA and reap the benefits of the Coil Art DPro 133 Box Mod and Coil Art 34M DPro RDA.